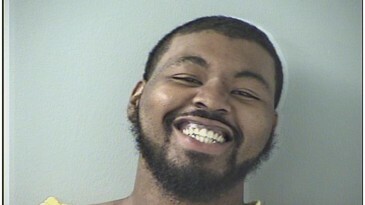 OHIO: Broderick Malik Jones Roberts, 21, of Hamilton, Ohio has been sentenced to 17 years in prison for killing Jaspreet Singh, 32, of Monroe, Ohio. 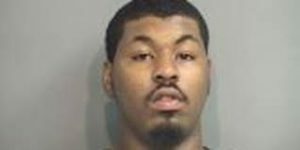 According to a Hamilton Journal News report, Roberts accepted a plea deal where he pleaded guilty to involuntary manslaughter. 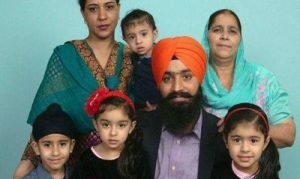 Jaspreet Singh was the father of four children and was from Nadala village near Kapurthala in Punjab. He had been living in the U.S. for about eight years, working as a truck driver and had been active at the Guru Nanak Society in West Chester Township in Ohio. Roberts was initially charged for murder, aggravated robbery, felonious assault and having weapons under disability charges for shooting Jaspreet Singh on May 12, 2018 “while he sat in his vehicle” at around 10:30 p.m., court documents say. Jaspreet Singh had suffered a gunshot wound to his upper torso and was taken to Fort Hamilton Hospital and was then transported by helicopter to Miami Valley Hospital in Dayton, Ohio, where he was placed on a ventilator and died 10 days later, according to a Hamilton police report. Roberts was being held in Butler County jail for the past eight months on a $1 million bail, the report added. His trial was scheduled for January 28 where he would face a life sentence however, pleaded guilty 11 days before to much-lesser charges of involuntary manslaughter and possession of unlawful weapons, giving him only 17 years.